Human Nutrition provides the framework for students to not just memorize facts, but to truly learn and apply the science of nutrition. The knowledge gained can be applied not only to a future profession, but, just as importantly, to everyday life. 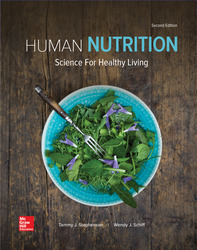 Our hope is that readers share the practical advice and key concepts learned in the textbook with family and friends to promote optimal health and wellness.